Indonesian Nutmeg Plantations - Ultra International B.V.Ultra International B.V.
How can plantations—or longer-term investments—change the dynamics of the aromatic ingredient market? Some crops take longer than others to materialise, but whenever there’s a change in the air the markets appear to be in a state of confusion. Why is this? The most likely reason is that there is never just one individual, investor or company thinking into the future, but many, and never do these many get together and paint one true picture of the market. These many are likely to be future competitors, and each investor or company can have different time frames and motivations as to why they’re looking into the future, as well as how the future might evolve. There’s an inevitable assumption that if new plantations start to supply oil to the market, the oil price will start to come down. These are simple supply and demand principles. However, investors often don’t wish to see this happen. Controlling any sudden influx of fresh material is critical to maintaining prices; after all, it is likely that a higher oil price that attracted such investors to a plantation project in the first place. Of course, this all sounds fairly straightforward, but plantations don’t always come online when expected and may not yield the same standard of oil as older plantations or wild-harvested areas to which the market is accustomed. One should remember that producers are dealing with natural products, which can be full of surprises. Often, plantations can replace wild-harvested areas, offering conservation or economic benefits. Here we discuss the current impact of recent plantations of nutmeg hitting the market. 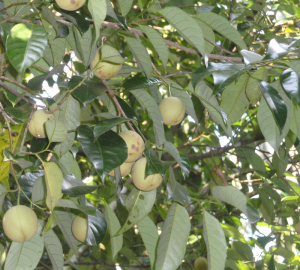 The nutmeg tree, Myristica fragrans, is indigenous to the Maluku Islands in Indonesia. For those unfamiliar, the fruit contains a nut, which is covered by a hard shell. A red-colored webbing (known as mace) covers the shell. Once ripe, the fruit will open, revealing the mace, which will fall to the ground to be collected, or it can be picked just before falling. The mace will then be carefully removed, leaving the nutmeg (nut) available to be ground and processed. The mace is also further processed as oil or sold as a ground spice after being graded. The oil market is secondary to the spice market, which dominates the global demand for nutmeg. At times over recent years, spikes in demand from the spice industry have had damaging effects on the oil markets, often creating shortages as less product reached processors. The spices in their ground form are mainly used in the food processing industry, in particular for meat seasoning. Nutmeg is also often used in many sweet and savory dishes, especially in India and in many other culinary cuisines in Thailand, Japan and its native Indonesia. The oil is commonly used in beverage flavors and in many perfumery applications, as well as being found in pharmaceutical products. 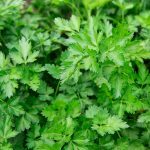 Its sensory qualities add spice, warmth and sweetness to any flavor or fragrance. Nutmeg also has known benefits for fighting illnesses related to sore throats and digestive issues for pharmaceutical/healthcare applications. The multimillion-dollar nutmeg market comprises as much as 10,000 tons of ground nutmeg, which are traded in the spice market each year, with Indonesia accounting for approximately 75% of the world production. Indonesia annually exports 350–400 tonnes of nutmeg oil, which accounts for approximately 80% of global production. Until recently there had been a reasonable supply and demand balance, and at times a seasonal under-supply, ensuring prices remained firm. However, this has changed recently due to the impact of plantation material. Plantations began in Indonesia after a run of poor crops from the Aceh region about seven years ago. Old trees had been attacked by worms, resulting in short-term crop losses. As a result, prices began to rise on the back of limited supply, finally peaking in late 2013 and early 2014. Many saw the opportunity to start new plantations on other islands, in part because nutmeg trees require only a limited investment. Plantations are relatively easy to develop. Some even refer to nutmeg as a “lazy man’s crop.” While plantations cannot tolerate dry or waterlogged conditions, the survival rate for plantations is very good. They thrive in warm tropical conditions with good rainfall, but allowing for good drainage can commonly be seen on hillsides (such as patchouli), up to 1,300 meters above sea level. Currently, it is estimated that there are around 2,000 hectares of nutmeg plantations in Indonesia (predominantly in Java, Sulawesi and Sumatra, including Aceh). Farmers who established new plantations following the difficulties in Ache knew that maturity would occur after five to eight years. Just as envisaged, as these plantations neared maturity, prices began to peak. Good forward-thinking one may say. However, the good forward thinking has hit a problem. Global demand is not growing. In fact, for most spices demand is flat, especially in Europe and North America where economic growth has been poor in recent years. This could be a result of higher market prices for the last several years, as without the needed assurances of price and supply stability, many formulators and end users can be reluctant to use spices in any new product development. So, with plantation material coming online, 2014 saw the impact of what happens when there is a flat market and an unregulated influx of supply of fresh raw materials. Prices soon started to weaken and, during the last quarter of 2014, nutmeg oil lost about 40% of its value. The next logical questions are “how far can it fall” and “where is the bottom?” The most likely answer would be that prices could continue to fall until one variable changes. Can demand grow again with lower prices? At these lower price levels is it still a profitable business for farmers? Will investments in new plantations continue with lower market price expectations? The dynamics are seemingly complicated and could go either way. The impact of a large amount of oil hitting the market can be very damaging. There is a good price saving for end users in the short term, but overall it is destabilizing for the markets. If the new lower price levels are not sustainable, it will pose more instability should the prices bounce back at some point in the future. Today, we have an oversupply situation. Perhaps this could remain for the next 12 months, but will it continue? Probably not. Other variables could affect market conditions, such as yield loss from older trees. As yields diminish over time and with younger trees having lower yields, could the industry see supply quickly brought back to more balanced levels? At a certain price level it will also become undesirable to harvest and process nutmeg, so fewer collections could occur. One must remember that if the fruits are not harvested, stored and/or processed in the correct timeframe they quickly become unusable. It is unlikely that at current reduced market price levels there will be additional investment in new plantations. If there are no replanting schedules, then supply patterns may remain a cyclical process meaning that despite today’s influx of material is not sustainable and that supply, and therefore prices, will continue to fluctuate widely over time. It is also worth noting that with plantation material one can often get variations in quality. The industry has seen what happens to patchouli quality when grown in different parts of Indonesia, and the same may be true of nutmeg. Sulawesi is now a producing island, contributing about 20% of total oil production, but the qualities are notably different. Whether Sulawesi supply is sustainable when prices are at the same levels as the preferred Sumatra/Java qualities may become another variable, as buyers are likely to buy the better quality first. During these times it is advisable to engage in a good dialogue with suppliers, ensure that quality standards do not drift (without good cause) and to work with supply partners. No one likes a volatile market, and with any successful supply chain process there has to be something in it for everyone. For buyers in the market it can be difficult to see what demands are just around the corner, so it is always a challenge to envisage what market demand may be in five, 10 or 20 years’ time. Investments in plantations can be highly successful. They can provide a strong basis to develop sustainable products for the future, but if poorly managed and unregulated they can cause more problems than the benefits for which they were initially intended. Manmade influences are yet another set of variables that can affect the ingredient marketplace. Future articles will review additional factors impacting the supply of tropical products and explain why buying natural, isn’t always such a straightforward process.